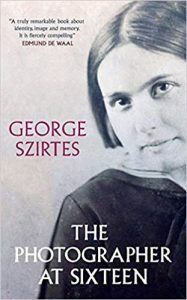 George Szirtes was born in Hungary and emigrated to England as a refugee with his parents—survivors of concentration and labour camps—after the 1956 Budapest uprising. Szirtes, who lives in Norfolk, studied painting at Harrow School of Art and Leeds College of Art and Design. At Leeds he studied with Martin Bell, who encouraged Szirtes as he began to develop his poetic themes: an engaging mix of British individualism and European fluency in myth, fairy tale, and legend. His first book, The Slant Door (1979), won the Faber Memorial Prize. Bridge Passages (1991) was shortlisted for the Whitbread Poetry Prize. Reel (2004) won the T.S. 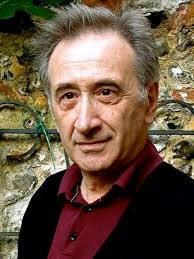 Eliot Prize, and his New and Collected Poems was published by Bloodaxe in 2008. 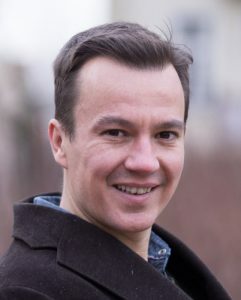 He has also won the Man Booker International Prize for his translations of novels by Laslo Krasznahorkai. Szirtes did not return to Hungary until 1984, when he visited on the first of several Arts Council traveling scholarships. He has since translated, edited, and anthologized numerous collections of Hungarian poetry. His own work has been translated into numerous languages and widely anthologized, including in Penguin’s British Poetry Since 1945. He has written extensively for radio and is the author of more than a dozen plays, musicals, opera libretti, and oratorios. A collection of children’s poetry, In the Land of Giants, won the national children’s poetry award in 2013. His most recent book, The Photographer at Sixteen, was praised by Edmund de Waal, author of The Hare with the Amber Eyes as “a truly remarkable book about identity, image and memory. It is fiercely compelling." The Photographer at Sixteen opens in July 1975 as Magda Szirtes dies in the ambulance taking her to hospital after she had tried to take her own life. She was 51-year-old. A poet’s memoir of his mother, the book flows backwards through time: exile in England, her flight with her husband and two young boys from Hungary in 1956, her internment in two concentration camps, her girlhood as an ambitious photographer, and the unknowable fate of her family in Transylvania. The woman who emerges- with all her contradictions- is utterly captivating. What were the terrors and obsessions that drove her? The Photographer at Sixteen is a tender yet unsparing autobiographical journey through a tumultuous period of European history, revealing a life of from the depths of its final days to the comparable safety of its childhood. It is a book born of curiosity, guilt and of love. 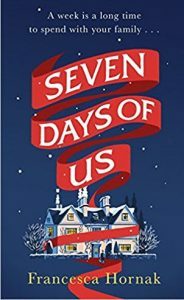 Come and meet Francesca Hornak who will be at The Holt Bookshop from 11am - 1pm on Saturday, November 24th, to sign copies of the paperback edition of her first novel Seven Days of Us. 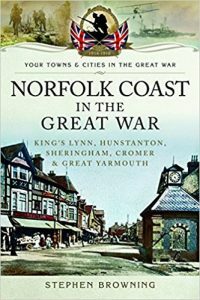 The book is set in a fictional version of Blakeney and tells the story of a North London family spending Christmas in quarantine at their second home in Norfolk. The house in the story is partly based on Wiveton Hall, the home of Francesca's cousin Desmond MacCarthy. 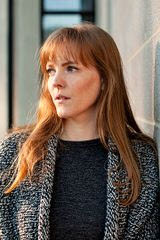 Francesca is also a journalist whose work has appeared in The Sunday Times and The Guardian. 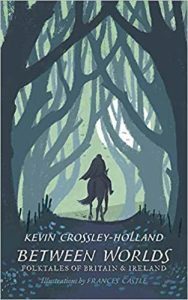 Award-winning author and poet Kevin Crossley-Holland will be at the bookshop at 6pm on Friday, November 16th, to talk about his new book Between Worlds: Folktales of Britain & Ireland. Ancient, rich and strange, these magical and eerie tales from across Britain and Ireland have been passed down from generation to generation. At once dark and funny, lyrical yet earthy, these stories have shaped our landscape and culture. These tales open a doorway to a lost world and show the enduring power of language and imagination. 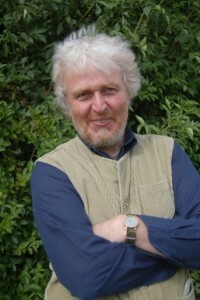 Kevin Crossley-Holland is a Carnegie Medal-winning author and a well-known poet. 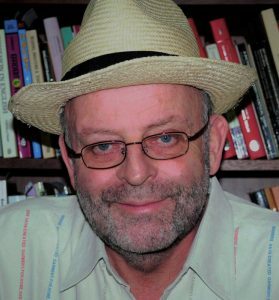 His award-winning Arthur trilogy has won worldwide critical acclaim, sold well over one million copies and been translated into twenty-five languages. He is also a world-expert on Norse mythology and author of several books on the subject. His most recent, Norse Myths: Tales of Odin, Thor and Loki, was praised as a "magnificent anthology" by The Times. Kevin lives in North Norfolk. An exciting new children’s book will be flying onto the bookshelves. Based on historic stories about the town, and illustrated in full colour, we meet a humorous and quirky cast of characters who weave in and out of the pages following Olly the owl, the town mascot. And while the eye is immediately captivated by the stylish and quirky illustrations, children will be hooked into the story lines which are written in rhyme. Young children enjoy the pleasure of hearing rhyming words and then repeating them aloud, especially if the stories are mischievous! 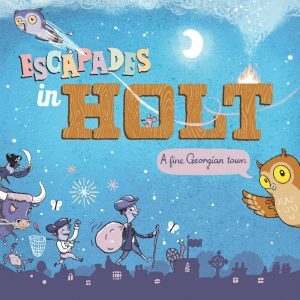 'ESCAPADES IN HOLT' is designed to encourage local families and visitors to explore the town via a trail and brings history to life. The imaginary characters walk - or fly - through recognisable buildings and street scenes. The accessible modern square format is designed to carry around easily. The stories are real page turners, but are full of imaginative visual details and hidden little creatures, such as snails and crabs, but also a run-away bull and a pirate bird. Published by The Holt Society, the book is intended to 'make history come alive' for the young generation of Holt. Keeping the price low at £4.99 makes it accessible to as many children as possible. Any profits from sales will be used too distribute free copies to school libraries, children’s hospitals and hospices in Norfolk so all can enjoy Olly’s escapades. The high quality of writing and design has been made possible by committed individuals (Lynda Turbet and Susan Williams), and a professional illustrator (Andy Ward) wanting to support this project. The idea was based on a Norwich book initiative featuring a dragon in Dragon Hall who suddenly comes to life. It was spotted by Lindsay Furniss, who asked 'why don't we do something similar in Holt?' And with the blessing of the Norwich project, we now have our very own Olly. Verdun, the Somme, Tannenberg and Passchendaele. These epics of destruction and futility are such bywords for the First World War that-Jutland apart-we forget the role played by sea power in the war to end war. The great global conflict is too often narrowed to the fields of Flanders and the plains of Picardy. 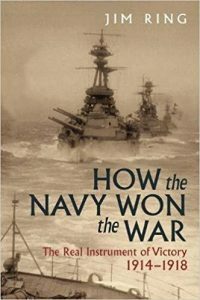 Now, award-winning biographer and naval historian Jim Ring has revisited the story to redress the balance. He emphasises how Great Britain, 'the great Amphibian' in Churchill's words, was able to move its army anywhere in the world. The Navy's very existence deterred any attempt at invasion, and its great ships kept the German High Sea fleet at bay; lastly, the Navy gradually starved the Kaiser's nation of war materiel and food. Choosing fourteen turning-points of the war, he explores the relative contributions made by land and sea power to the eventual outcome of the conflict in 1918. For example, the abandonment of the Imperial German Navy's ambition for a decisive naval surface battle was at least as important as Jutland itself, while Lloyd George's imposition of the convoy system on, it must be said, a reluctant Admiralty turned the battle against the U-boats; the mine and the submarine altered the course of war as much or more so than the tank. The book is also a study of character as well as of action, of decision-making as much as the sweep of battle, and his critique of the warlords of both the Entente and the Central Powers-of Ludendorff and Churchill, of Haig, Kitchener and Foch, of Fisher, Jellicoe, Beatty and Scheer-is refreshing, his conclusions surprising. 'The Great War was fought on land but won at sea.' Not so, says Ring, but much closer to the truth than we tend to believe. A century after the catastrophic events of the Great War, in the midst of a time at which the country is once again pondering its identity, it is worth reciting the words of John Keegan: 'No Britain of my generation, raised on food fought through the U-boat packs in the battle of the Atlantic can ever ignore the narrowness of the margin by which sea power separates survival from starvation in the islands he inhabits.' The Royal Navy was key to the survival of Great Britain and to eventual victory in 1918. Written with passion and verve, this book offers a very different way of looking at the conflict-if you think you understand the Great War, think again. 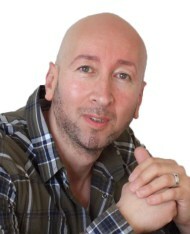 Jim Ring is an author and film-maker, who lives in north Norfolk. Four of his titles are being reissued in Faber Finds: Erskine Childers; How the English Made the Alps; We Come Unseen: The Untold Story of Britain's Cold War Submariners; Riviera: The Rise and Rise of the Côte d'Azur. Jim Ring's 1996 début, Erskine Childers, won the Marsh Prize for biography. It was followed by How the English Made the Alps which was described as 'fascinating' by the Daily Telegraph and 'evocative and entertaining' by the Financial Times. His collective biography of Britain's leading Cold War submariners, We Come Unseen, won the Mountbatten Prize and was called 'a welcome acknowledgement of one of the Cold War's little-known aspects' by the Sunday Telegraph. As part of the Holt Festival 2018, Amy Finegan will be at The Holt Bookshop from Monday, 23rd July to Saturday, 28th July between 10.00 and 10.30am. With pitch-perfect delivery to entrance the young, the delightful Amy entertains children under seven with songs and tall tales. It is the 1970s and Oxford’s male institutions are finally opening their doors to women. Sarah Addleshaw – young, spirited and keen to prove her worth – begins term as the first female academic at her college. She is, in fact, its only female ‘Fellow’. 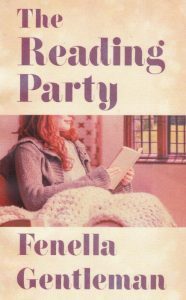 Impulsive love affairs – with people, places and the ideas in her head – beset Sarah throughout her first exhilarating year as a don, but it is the Reading Party that has the most dramatic impact. Asked to accompany the first mixed group of students on the annual retreat in Cornwall, Sarah finds herself illicitly drawn to one of them, the suave American Tyler. Torn between professional integrity and personal feelings, she faces her biggest challenge to date. In 1974 Fenella Gentleman was studying Philosophy, Politics and and Economics at Wadham College, Oxford, when it went mixed. She took part in college reading parties in Cornwall and her novel draws on her experiences as well as considerable research. 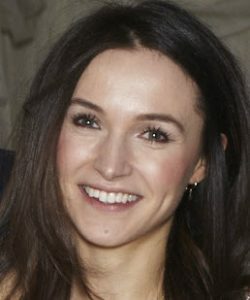 After graduating Fenella worked in publishing for six years and then between 2009-2011 she took two creative writing courses at the Open University, achieving Distinctions in both parts of her Diploma. The experience gave her sufficient confidence to devote more time to writing. She has now pulled out of corporate life to work on a second novel – set in the late 1990s, with a clash between London’s Britart community and the life of a country estate. She is also working on a non-fiction project with a strong element of oral history. Writing is now her full-time occupation. Fenella is married to Jonathan Freegard, a Norfolk boy and practicing architect. They have a daughter, Lucy, a children’s book illustrator who was educated at Gresham’s. Lucy has published two books –Just Like Daddy and Just Like Mummy. Fenella’s father is the artist and illustrator David Gentleman. - Can We Save Britain’s Wildlife Before It Is Too Late? 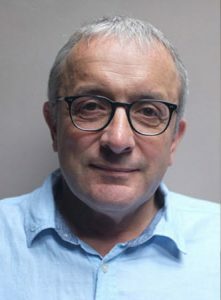 Norfolk author, ornithologist and environmental campaigner Mark Cocker has written an important, impassioned book which suggests how this overcrowded island of ours could become a place fit for humans as well as its billions of wild citizens. Described as a “beautifully written, sobering and magnificent work” by The Sunday Times, the book tackles some of the most central issues of our time. It asks searching questions like who owns the land and why? And who benefits from green policies? Above all it attempts to solve a puzzle: Why do the British seem to love their countryside more than almost any other nation yet live amid one of the most denatured landscapes on Earth? Environmental thought and politics have become parts of mainstream cultural life in Britain. The wish to protect wildlife is now a central goal for our society, but where did these `green' ideas come from? And who created the cherished institutions, such as the National Trust or the Royal Society for the Protection of Birds, that are now so embedded in public life with millions of members? Mark explores six special places, from the flatlands of Norfolk to the tundra-like expanse of the Flow Country in northern Scotland, that either embody the history of conservation or whose fortunes allow us to understand why our landscape looks as it does today. 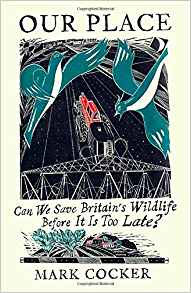 We meet key characters who shaped the story of the British countryside - Victorian visionaries like Octavia Hill, founder of the National Trust, as well as brilliant naturalists such as Max Nicholson or Derek Ratcliffe, who helped build the very framework for all environmental effort. Mark has previously visited The Holt Bookshop to discuss his books Crow Country, which was shortlisted for the Samuel Johnson Prize, and the monumental Birds and People which he produced with Holt-based photographer David Tipling. His other books include Claxton: Field Notes from a Small Planet, Birds Britannica and works of biography, history, literary criticism and memoir. 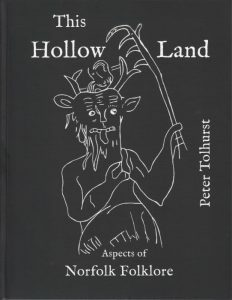 Peter will be at the bookshop signing copies of his new book, This Hollow Land: Aspects of Norfolk Folklore. Crumbling cliffs, wayside tracks and underground passages frequented by an array of restless spirits… white ladies, phantom coaches and blind fiddlers. Lantern Men haunt the marshes and children go in fear of Hyter Sprites. Welcome to the world of Norfolk author Peter Tolhurst whose book is the first of its kind devoted entirely to Norfolk. Beautifully illustrated with 350 black and white images, This Hollow Land is a vivid exploration of traditional lore and a celebration of the people who kept it alive. Black Dogs publisher Peter is the author of the celebrated Norfolk Parish Treasures trilogy. 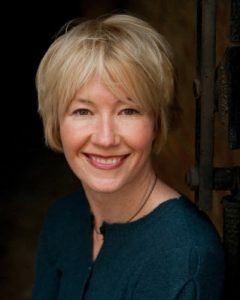 The Holt Bookshop is delighted to welcome back Emma Healey, author of the award-winning bestseller Elizabeth is Missing. 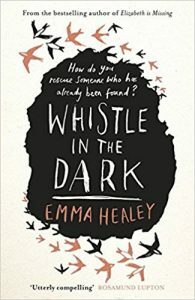 Now comes Emma’s follow-up Whistle in the Dark... How do you rescue someone who has already been found? The Holt Bookshop was one of more than 100 bookshops that Emma visited in 2014 on a tour around Britain with her debut novel Elizabeth is Missing. The evening in the shop attracted a large audience and we were very fortunate that the following year Emma returned to serve behind the counter for a day to help us celebrate Independent Booksellers’ Week. Emma, a former bookseller, grew up in London where she went to art college and completed her first degree in bookbinding. She then worked for two libraries, two bookshops, two art galleries and two universities, and was busily pursuing a career in the art world before writing overtook everything. She moved to Norwich in 2010 to study for the MA in Creative Writing at UEA and never moved back again. Elizabeth is Missing won the Costa First Novel award and was also shortlisted for the National Book Awards Popular Fiction Book of the Year. 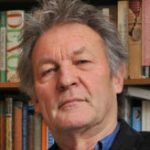 John Smart is the former Head of arts at Gresham's and author of Tarantula's Web, a biography of John Hayward, T.S.Eliot and their Circle. He is currently writing a biography of J.C.Squire, a British writer, most notable as editor of The London Mercury, a major literary magazine between the world wars. Educated at Gresham’s School, Donald Maclean became a star diplomat, an establishment insider and a keeper of some of the West's greatest secrets. He was also a Russian spy, driven by passionately held beliefs, whose betrayal and defection to Moscow reverberated for decades. 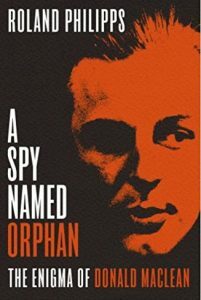 Christened `Orphan' by his Russian recruiter, Maclean was the perfect spy and Britain's most gifted traitor. But as he leaked huge amounts of top-secret intelligence, an international code-breaking operation was rapidly closing in on him. Moments before he was unmasked, Maclean vanished. Drawing on a wealth of previously classified material, Roland Philipps now tells this story for the first time in full. He unravels Maclean's character and contradictions: a childhood that was simultaneously liberal and austere; a Cambridge education mixing in Communist circles; a polished diplomat with a tendency to wild binges; a marriage complicated by secrets; an accelerated rise through the Foreign Office and, above all, a gift for deception. 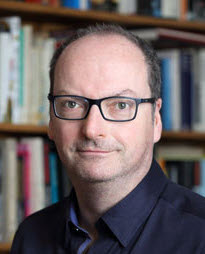 The author Roland Philipps worked for 22 years at the publisher Hodder & Stoughton, part of the Hachette group, before leaving in 2016 to focus more on his writing career. 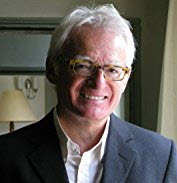 Soon after joining Hodder in 1994, he was promoted to publishing director of non-fiction as well as managing a small list of distinguished novelists including John Le Carre and Justin Cartwright. He became managing director of John Murray after its acquisition in 2002 and oversaw its integration into Hachette. 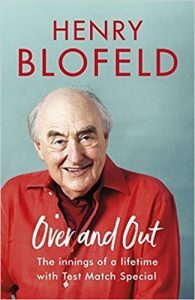 Come and meet cricket broadcasting legend Henry Blofeld who will be at The Holt Bookshop at 1pm on Saturday, May 5th, to sign copies of his autobiography Over and Out: The Innings of a Lifetime with Test Match Special. ‘Blowers’ joined TMS in 1972 and retired at the end of last summer after 45 years in the commentary box. Awarded an OBE in 2003 for services to broadcasting, Blofeld had a unique style and his regular use of the phrase "my dear old thing" has become part of TMS during Tests. He cites “Botham’s Ashes” in which England beat Australia 3-1 in the 1981 Test series as the highlight of his broadcasting career. At the age of 60, Phyllida Scrivens achieved two life-long ambitions in 2015. 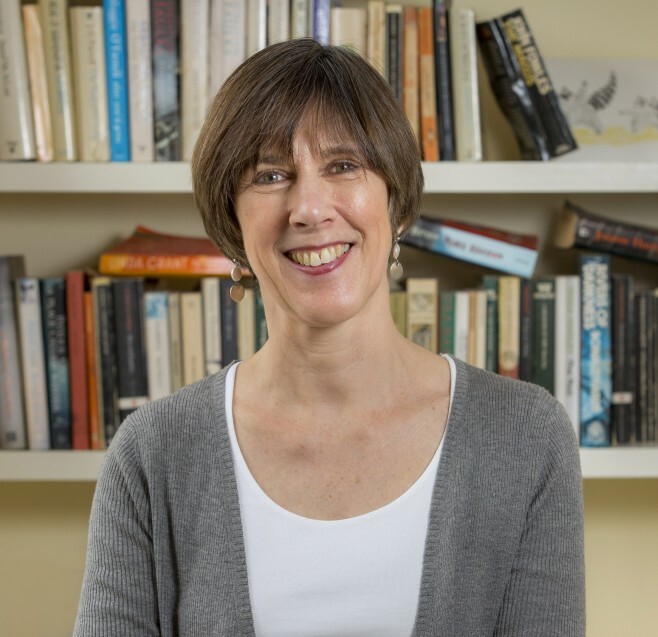 She was awarded an MA in Creative Non-Fiction at the UEA and was also offered a publishing contract by Pen & Sword for her first book, Escaping Hitler: A Jewish Boy’s Quest for Freedom and His Future. This book is a full-length biography of a Kindertransport boy whose destiny was to become Sheriff of Norwich. 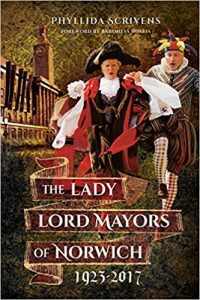 Phyllida’s research fostered a keen interest in the civic life of Norwich resulting in her second book, The Lady Lord Mayors of Norwich 1923-2017. 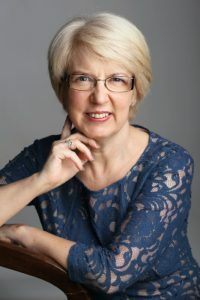 Phyllida is an experienced public speaker who spends much of her time helping husband Victor with fundraising projects for their local church. Since 2007 the couple have lived in Thorpe St Andrew, Norwich, in a home overlooking the River Yare. The Lady Lord Mayors of Norwich 1923 - 2017 offers an entertaining and revealing insight into the diverse lives, both personal and civic, of 17 remarkable women, who between 1923 and 2017, has each held the honour of being First Citizen of the City of Norwich in Norfolk England. Moreover, the pioneer Ethel Colman, daughter of the mustard giant, simultaneously became the first female Lord Mayor of both Norwich and of Great Britain. Amongst others, meet the war refugee from Czechoslovakia; the `Ten Pound Pom'; the Manageress of C&A; the keen amateur actress; the Trade Unionist; the Scot from the Glasgow shipyards; the Hairdresser Lord Mayor; the Prison Governor's wife and the first known official consort with Down's syndrome. Discover the Civic Coach, priceless regalia, traditional robes, Whifflers, Snap the Dragon and the magnificent Art Deco Norwich City Hall, opened in 1938 by King George VI, allegedly coveted by Adolf Hitler as his regional HQ if the Nazis should win WW2. Using in-depth personal interviews with surviving female Lord Mayors, their colleagues, friends and family members, supported by research material from local archival sources, author Phyllida Scrivens has uncovered fascinating anecdotal stories, both joyous and tragic, many involving royalty and national figures. This book, including original photographs, delves behind the scenes of public office, discovering inspiring women determined to rise above the constraints of a hitherto patriarchal world. 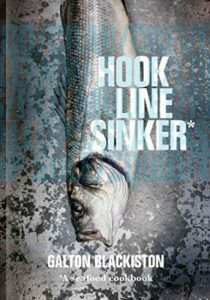 North Norfolk celebrity chef Galton Blackiston will be at The Holt Bookshop between 11am and 1pm on Saturday, December 9, to sign copies of his new book Hook Line Sinker. The book, which reflects Galton’s lifelong love affair with fish and shellfish, features over 90 recipes divided into five chapters -- Quick and Easy, Small Plates, Stress-Free, Spicy Seafood and Main Courses. 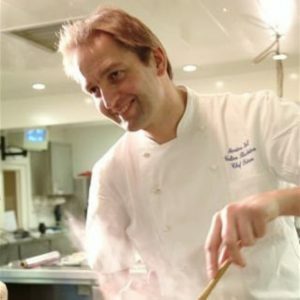 Galton, owner and chef patron of the Michelin-starred Morston Hall Country House Hotel and Restaurant, has included his all-time favourite recipes in the book. All have featured on his menu in some form over the years, but more importantly, are great to cook at home. 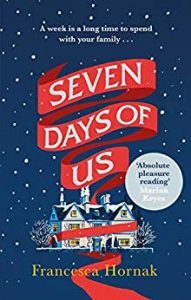 Come and meet Francesca Hornak who will be at the bookshop from 11am till 1pm on Saturday, November 25, to sign copies of her first novel Seven days of Us. The house in the story is partly based on Wiveton Hall, the home of Francesca’s cousin Desmond MacCarthy. The book centres around the Birch family who are gathering at Christmas for the first time in years. Emma is elated at having everybody under one roof, but her oldest child, Olivia, is only home because she has nowhere else to go. She's just returned from treating an epidemic abroad and must stay in quarantine for a week - and so, too should her family. 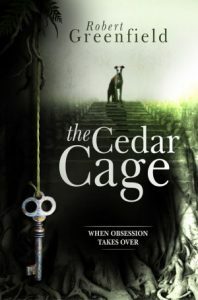 North Norfolk author Robert Greenfield is now fully restored to health and will be signing copies of his book The Cedar Cage at The Holt Bookshop from 10.30am to 1pm on Saturday, November 4th. Robert is a former international fashion designer whose previous best-seller Samphire Coast related his experiences of running a B & B on the North Norfolk coast. 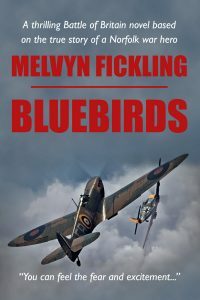 North Norfolk author Melvyn Fickling will be signing copies of his Battle of Britain novel Bluebirds at the bookshop between 11am and 1pm on Saturday, September 16th. Based on the true story of a Norfolk war hero , the book revolves around three pilots who fly Spitfires through the summer of 1940. Invasion is imminent and Britain faces almost certain defeat at the hands of the Luftwaffe in the Battle of Britain. Bluebirds recasts The Few in the darker shadow of their desperate times, fighting against terrifying odds against the imminent expectation of death. The author lives in Wells-next-the-Sea. The event coincides with the Holt 40s weekend. The book also recounts the incredible deeds of local fighting men, the trawler fleet and Henry Blogg, often called the bravest man who ever lived, and his RNLI crew. Stephen Browning has written a series of books with Norfolk themes. Norwich in the Great War was published by Pen & Sword in January 2016. Other titles include Discover Norwich, Discover Norfolk: Land of Wide Skies, Spirit of Norwich Cathedral, Norfolk Food Heroes and Peddars Way and the Norfolk Coast Path. He has also written The World of Charles Dickens. In Asia he has written several books aimed at helping young professionals with their English skills, two of which have won top awards in Taiwan. 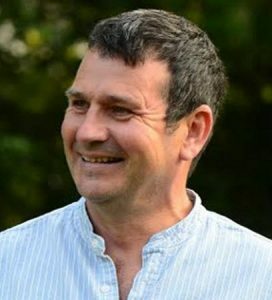 Time permitting, he also enjoys writing features for Norfolk magazines and newspapers as well as detective stories. 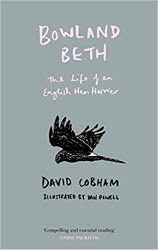 International filmmaker David Cobham will be at The Holt Bookshop at 6.30pm on Thursday, August 3rd, to discuss his book Bowland Beth: The Life of an English Hen Harrier. 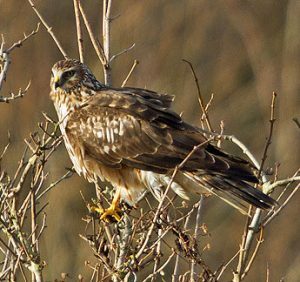 With only three nesting pairs in England, the Hen Harrier is a totemic species in the battle between conservationists and ruralists. David's book dramatizes Beth's short life which ended when she was shot dead in 2012 in an apparent act of persecution. Beth's tragic story dramatically highlights the major issues in UK conservation. In his book, David immerses himself not only in the day-to-day regimen of her life, the hours of hunting, bathing, keeping her plumage in order and roosting, but also the fear of living in an environment run to provide packs and packs of driven grouse for a few wealthy sportsmen to shoot. David, who lives in North Norfolk, will be joined at the event by Dan Powell, whose beautiful illustrations enhance the book. 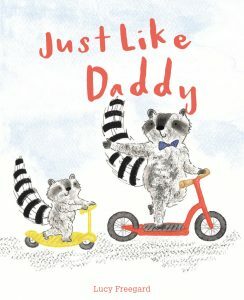 Join author & illustrator, Lucy Freegard, to celebrate her new children’s book, Just Like Daddy - a warm, humorous picture book celebrating a child’s love for their father and celebrating a grown-up who still loves to have fun and be silly! Lucy will read from the book, talk about her inspiration for the story and how she goes about creating her artwork, plus she’ll demonstrate some live drawing – come and see yourself recreated as one of her adorable animals! Lucy will be signing copies of her book, Just Like Daddy. Lucy Freegard grew up in Holt. 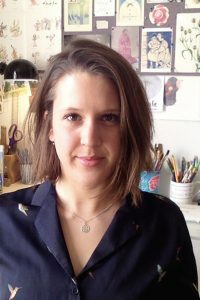 She graduated from the Cambridge School of Art with an MA in Children’s Book Illustration and now lives in London, but revisits Holt as often as she can. 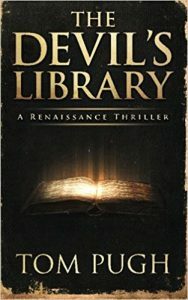 Come and meet Tom Pugh who will be signing copies of his Renaissance thriller The Devil's Library at The Holt Bookshop at 5.15pm on Thursday, July 27th. The novel follows two adventurers on their quest to obtain ancient, heretical texts involving the Pope's spymaster, Ivan the Terrible, and a book believed to have the power to bring about the Apocalypse. The novel was inspired by Tom's own overland journey from Moscow to Naples. The son of Holt Festival director Charles Pugh, Tom lives with his wife and children in Berlin. The Holt Bookshop is delighted to be supplying books for the 20th Wells Poetry Festival being held at Alderman Peel School from Friday, May 5th to Sunday, May 7th. The festival starts at 8pm on May 5th with Michael Symmons Roberts and Paul Farley reading from their book Deaths of the Poets. 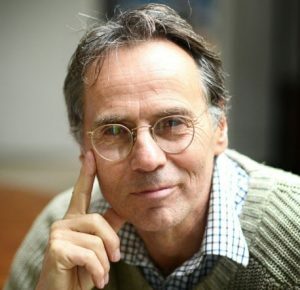 Come and meet award-winning TV comedy writer Carl Gorham who will be here at 6.30pm on Friday, February 24th, to talk about his new book The Owl at the Window: A Memoir of Loss and Hope. Part love story, part widower's diary, the book tells of his wife's death from cancer and his attempts to rebuild his life afterwards with his six-year-old daughter. 'She is dead. She was here just now and she was alive. How can she suddenly be dead? People in history are dead. Old people are dead. Grandparents are dead. Other people are dead. Not people like me. Not this person. The person I was married to. Shock is just one of many emotions explored in Carl's account of his bereavement which is by turns deeply moving and darkly humorous. Realised in a series of vivid snapshots, it takes the reader on an extraordinary journey from Oxford to Australia, from Norfolk to Hong Kong through fear, despair, pain and anger to hope, laughter and renewal. 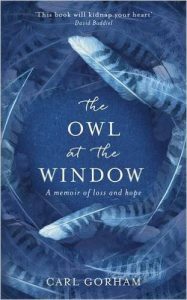 The Owl at the Window is a fresh and original exploration of what it means to lose a partner in your forties, and how Carl learned to live again. Carl, who lives near Holt, is best known as the creator, co-writer and producer of the acclaimed animated BBC2 sitcom Stressed Eric. 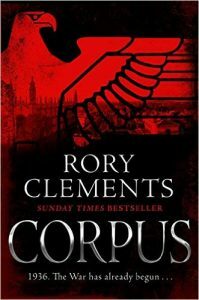 Award-winning North Norfolk author Rory Clements will be at The Holt Bookshop at 6.30pm on Friday, February 3rd, to talk about Corpus, the first in a major new series of thrillers. Rory's previous seven novels have been set in the Elizabethan era and featured John Shakespeare, fictional brother of William. Now Rory's focus moves closer to our own era. 1936. Europe is in turmoil. The Nazis have marched into the Rhineland. In Russia, Stalin has unleashed his Great Terror. Spain has erupted in civil war. In Berlin, a young Englishwoman evades the Gestapo to deliver vital papers to a Jewish scientist. Within weeks, she is found dead in her Cambridge bedroom, a silver syringe clutched in her fingers. In a London club, three senior members of the British establishment light the touch paper on a conspiracy that will threaten the very heart of government. Even the ancient colleges of Cambridge are not immune to political division. Dons and students must choose a side: right or left, where do you stand? When a renowned member of the county set and his wife are found horribly murdered, a maverick history professor finds himself dragged into a world of espionage which, until now, he has only read about in books. But the deeper Thomas Wilde delves, the more he wonders whether the murders are linked to the death of the girl with the silver syringe - and, just as worryingly, to the scandal surrounding King Edward VIII and his mistress Wallis Simpson...Set against the drumbeat of war and moving from Berlin to Cambridge, from Whitehall to the Kent countryside, and from the Fens to the Aragon Front in Spain, this big canvas international thriller marks the beginning of a major new series from bestselling author Rory Clements. 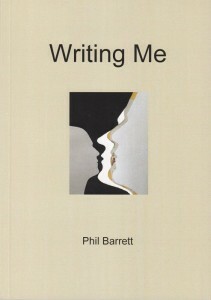 Prize-winning North Norfolk poet Phil Barrett will be at The Holt Bookshop at 6.30pm on Friday, 20th January, to launch his book of poems Writing Me. Originally trained as a visual artist, Phil spent 27 years as head of art at The Purcell School for Young Musicians in Bushey, Herts. 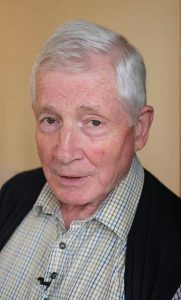 Since taking early retirement, he has focused on his writing and has undertaken a range of poetry workshops with individuals and schools in North Norfolk. Writing Me is a sequence of poems which explores growing up in a Norfolk town. Phil will be introduced at the event by Kevin Crossley-Holland.